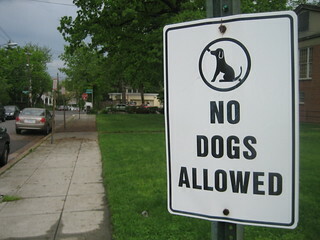 Peoplewithpets.com provides a large network of cities that are in general pet-friendly. You can locate hotels, apartment rentals, and even find a nice park to play in while on vacation. For the most part, cities are often inclined to promote their welcoming nature to the four-legged companion. Metro Animal is the St. Louis area pet-friendly guide for rentals in the entire area. Los Angeles also offers their own directory. As does Portland, Oregon at Portland. While not all cities will have their own directory, many of the larger cities – where finding an apartment can be extremely difficult in general – do offer a directory to make the search easier for you and the pup to find a good place to live.